The stimulating blend of astrigent rosemary aromatherapy oil in this vegetable soap enlivens skin. Smooth and aromatic, this vegetable soap from Faith in Nature has a low pH to gentle cleanse and tone your skin, without drying it out. Rosemary aromatherapy oil is known as a tonic with stimulating and balancing properties for skin, with a natural pungent aroma typical of Mediterranean plants. Suitable for Normal & Oily skin types. Pure - No artificial colour, fragrance, preservatives or whitener. 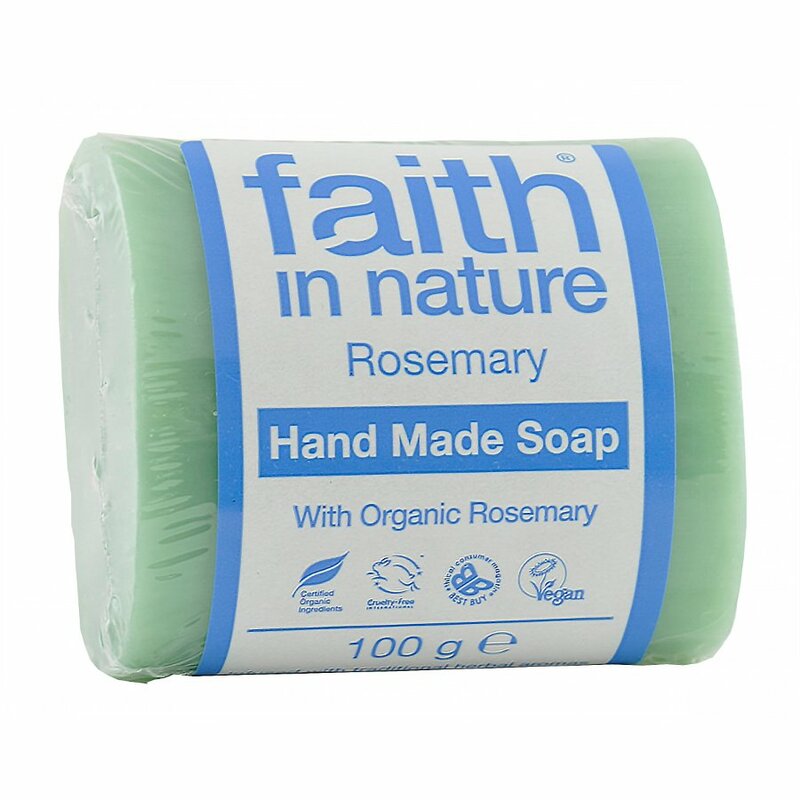 The Faith in Nature Soap - Rosemary - 100g product ethics are indicated below. To learn more about these product ethics and to see related products, follow the links below. Excellent product if you are looking for a cruelty free alternative. 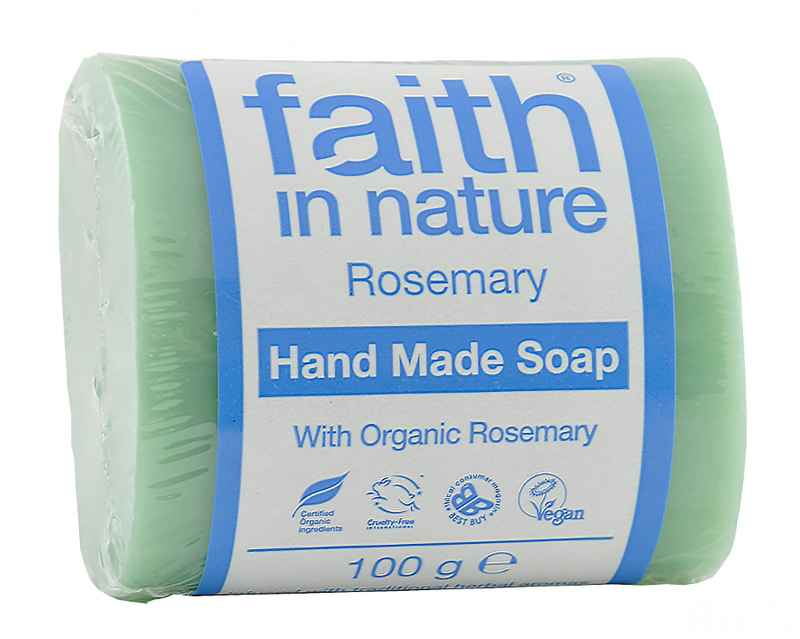 There are currently no questions to display about Faith in Nature Soap - Rosemary - 100g. Faith in Nature have a rich 40 year history of producing natural cosmetics and skin care. The company has come a long way since those early days but it stays true to its original principles, and works to create genuinely natural products which are gentle on the skin and on the environment, with no synthetic colourings or fragrances, and totally paraben free. By combining traditional and trusted ingredients with modern technology, they are able to produce a high quality and reliable natural range.